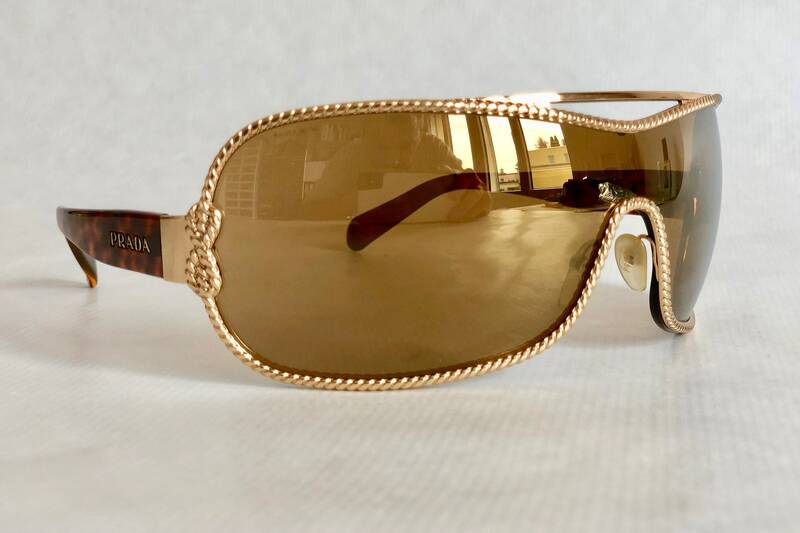 Made in Italy in the late 1990s. 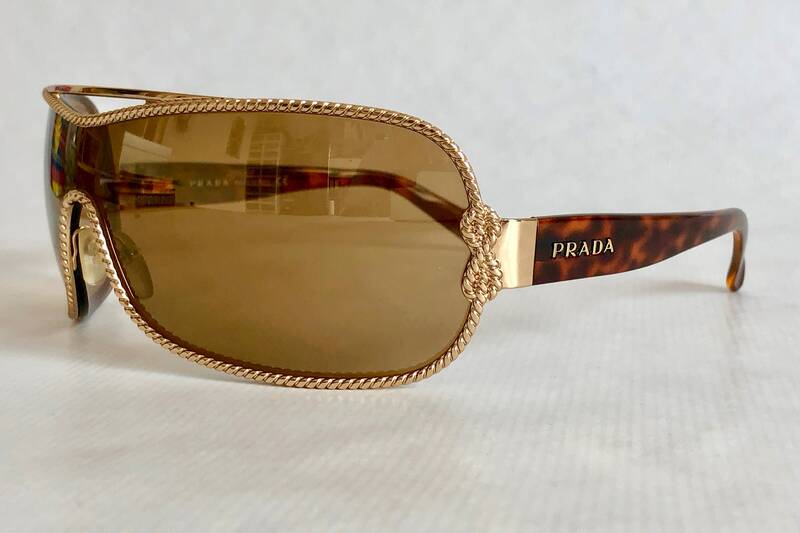 Frame and Lenses are in perfect new unworn condition. All markings on temples intact. 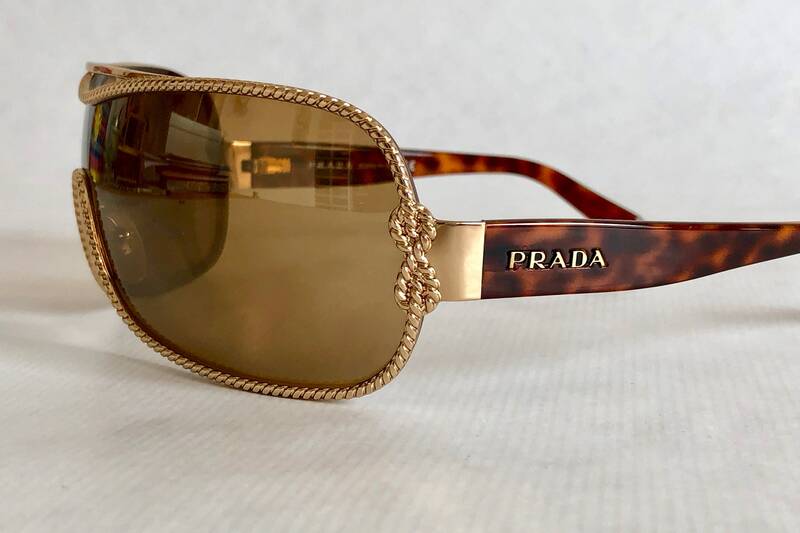 One of Prada's most notable designs from the late 1990s, the SPR features an intricate gold chain decor surrounding a gold mirrored shield lens. 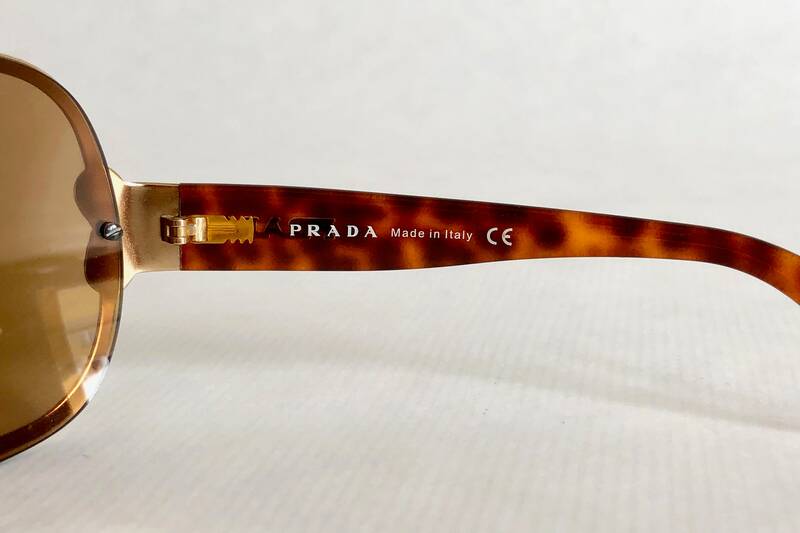 A bold geometry with beautiful tortoise temples completes this highly wearable and timeless frame. 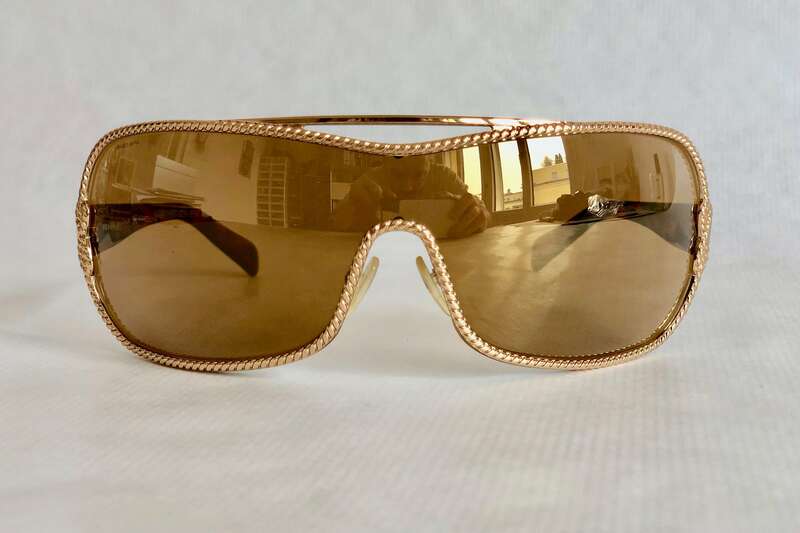 Lens: Gold mirrored with engraved serial number and 100% UV protection. 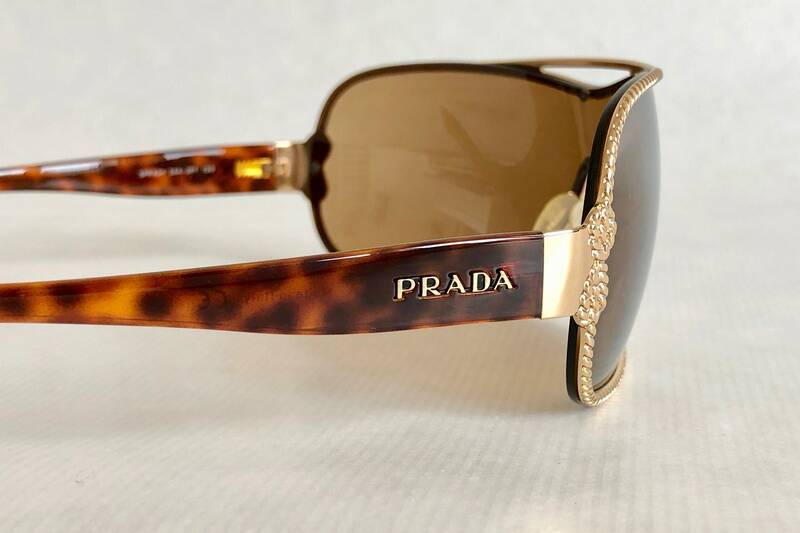 Including Gianfranco Ferrè softcase and cleaning cloth.